For our end of tenancy cleaning service we have a team of vetted and fully insured cleaners. We have more than a decade of experience and always look forward to build a long term relationship with our clients. 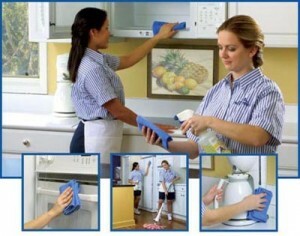 We are well aware of the fact that it’s very difficult to keep your house dirt free. It’s also very important for the tenants to clean the house properly and keep it dirt free so that the landlord is happy and returns the deposit. With our services you are ensured of getting your deposit back. To book our services you just need to make a call or send in an e-mail, our customer support will help you out and find the best package according to your budget. You can also fix an appointment and get solutions to all your queries. We have trained our cleaners rigorously and kept them updated with the latest techniques of end of tenancy cleaning. Our cleaners are flexible with their work schedule and they work even on weekends or holidays. While they work at your home you can afford to have rest and spend your free time with your friends and family. The cleaners will mop the floor, clean the doors and windows, even the smallest places will be cleaned to make sure that the house looks as good as new. The tools and equipment used by our cleaners are industrially proven. We have always used environmentally friendly and bio-degradable solutions that do not harm the place. Further you could be assured that the house is in right hands and you will get desired results. The cleaners are sheer professionals and plan out things before they start their work. After the work is finished we really appreciate your feedback which would help us to improve our services.